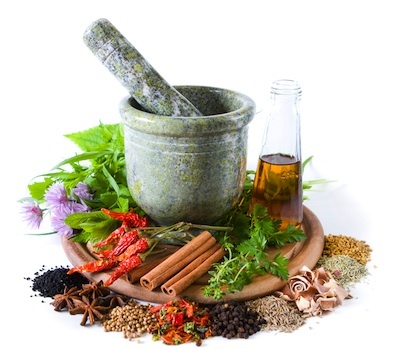 Are you ready to switch your medicine cabinet over to natural remedies but not sure what you should include? Check out what Sharon Dangles from Sharon Holistic Living has to share with you (& check out her guest visit on Freedomizer Radio)! How many of you would like safer, cheaper and more effective healthcare? Modern medicine is designed to manage symptoms and often mask them. Prescription drugs are made from isolated synthetic agents designed to mimic natural substances. All drugs have side effects and the misuse of prescription drugs has devastating consequences. We spend $4.5 trillion dollars on healthcare annually. Are we healthier because of it? Let me share with you the health benefits that can be found in nature. Nature’s medicine helps support the body by minimizing symptoms and addressing root causes. One of the most effective forms of natural medicine is essential oils. Essential oils are natural aromatic compounds found in plants, barks, flowers and blossoms used in medicines. They can be used safely and without harmful side effects. Another benefit is that they cost pennies per dose, reducing doctor trips, no co-pays and are administered in the comfort of your own home. The Essential oil bottles have a code A,T,I which indicates how they can be used. The first and fastest way is aromatically. Just take a whiff! The second type of application is topically. These oils can be applied to the head, feet, ears, chest, back of neck and troubled areas. Some oils can be taken internally! These oils go right to work from the inside to relieve issues in the digestive system, mouth, throat, and liver. 1) For headaches, try Past Tense oil. 2) For cold/flu, allergies and congestion, try Breathe oil. You can add to your humidifier, place a drop on your pillow or just under your nose. 3) Rosemary oil is a great alternative than taking cough suppressant medicine. 4) On Guard oil is excellent to build immune support and for sore throat relief. 5) Replace antacids with DigestZen. If you feel like you are starting to come down with a cold or flu, put these oils in an empty gel capsule and take internally. Repeat every 3-4 hours until you feel better again. Separator image Posted in Beauty, Health, Lifestyle, Recipes.